Tailor your degree to fit your interests. If you’re undecided, what better way to explore than a degree that offers a range of options? Psst! All your credits transfer, too. Pictured above, graduate Eli Stacy transferred from TCC to University of Virginia, and completed his bachelor’s in sociology in 2016. What’s Tidewater Community College’s most popular degree program? You’re right if you guessed social sciences. TCC graduates an average of 848 students in social sciences per year, more than double of its next popular degree program, business administration. Here’s why it might be just the program you’re looking for. Why earn an Associate of Science in Social Sciences? If you want to transfer to a four-year college or university, you can’t choose a better degree program. All the classes transfer seamlessly, meaning you enter your next college as a junior. If you start college undecided on a major, this is the perfect path to introduce you to a plethora of fields, including anthropology, economics, geography, history, political science, sociology and psychology. Social sciences is such a broad term. Could it work for me? The broadness of social sciences is exactly why it is such an attractive option at TCC. The social sciences encompass any effort to study society and human relationships. We’re better when we understand the world we live in from multiple perspectives. Businesses value employees who are trained to understand diversity. TCC’s social sciences associate also allows you to develop specific skills that translate into many career fields. Communication, research, analysis and problem-solving are all emphasized in the 61-credit associate degree. Bonus: First-time college students who meet GPA and other requirements may qualify for a two-year transfer grant of up to $1,000 to be applied toward tuition for your junior and senior years. 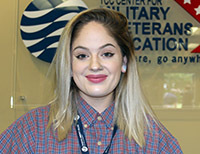 Rachel Holley is using her father’s GI Bill benefits, to work toward her social sciences associate. “There’s so many different avenues; it’s been an amazing experience,” said Holley, who plans to graduate in December and transfer to ODU to prepare for a future in human resources. 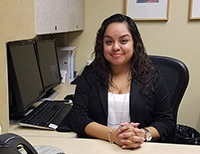 Graduate Luz Middleton transferred to ODU to prepare for a career as a social worker. 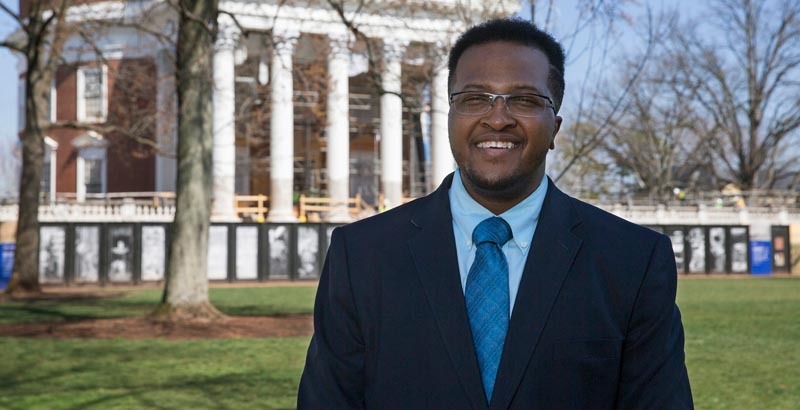 Graduate Eli Stacy, now employed as a program coordinator for a housing authority in Cleveland, transferred from TCC to University of Virginia, completing his bachelor’s in sociology in 2016. He is at work on a master’s in public administration from Cleveland State. Graduate Kenita Jackson transferred from TCC to ODU for her bachelor’s in biology. 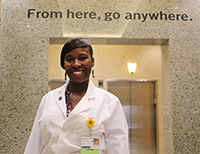 She then went to Eastern Virginia Medical School for a master’s in surgical assisting and went right to work. 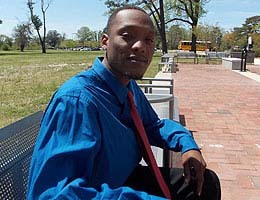 Graduate Marcus Baker, now earning his bachelor’s in human services from Norfolk State University. Six approved electives make for flexibility in choosing this degree path. They could be humanities, English, math, physics – anything you like.